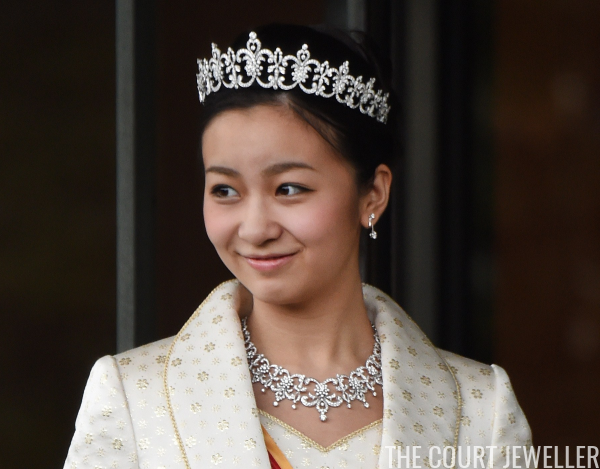 Our coverage of the tiaras worn by the women of Japan's imperial family continues today with one of their newest sparklers: the diamond fleur-de-lis tiara worn by Princess Kako of Akishino, a granddaughter of Emperor Akihito. 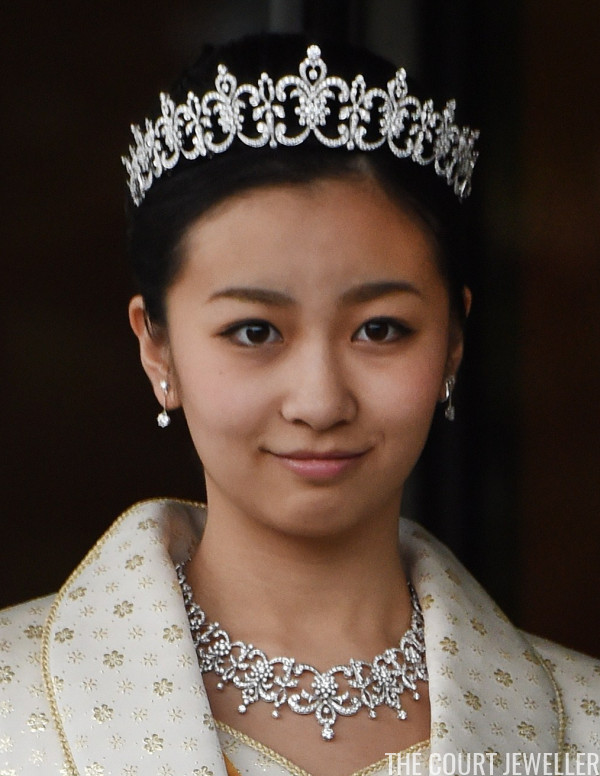 Like all Japanese imperial princesses, Kako received her tiara on her twentieth birthday, as well as a complete suite of diamond jewels and the Order of the Precious Crown. 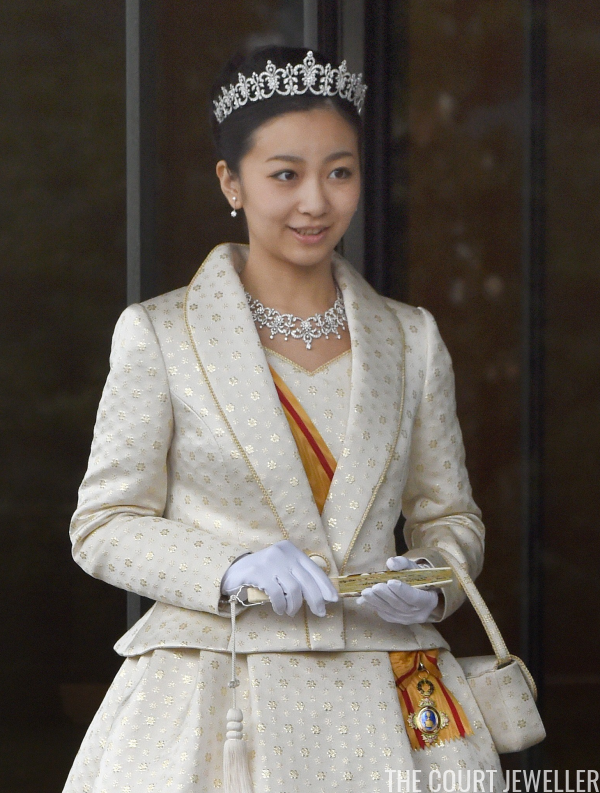 Along with the tiara, Kako was supplied with a matching mirrored necklace, earrings, a brooch, and a diamond bracelet. Kako's tiara was made by Mikimoto, the famous Japanese jewelry firm that specializes in high-quality cultured pearls. 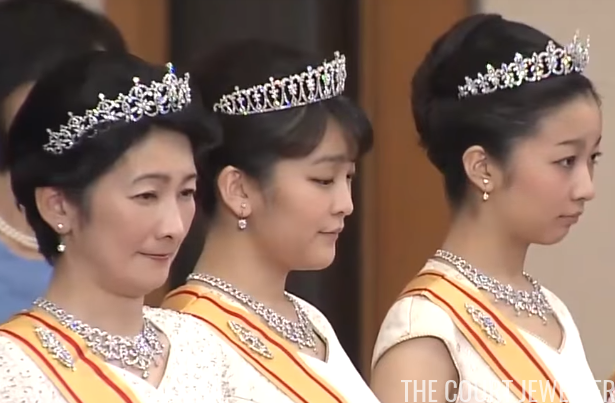 Above, you can see Kako standing beside her mother and sister, the Princess Akishino and Princess Mako, at the New Year's reception at the imperial palace in 2016; note that the fleur-de-lis and festoon elements of her tiara echoes the design of her mother's tiara. Kako wears her tiara and jewels at all white-tie occasions attended by the adult members of the imperial family, including state banquets. 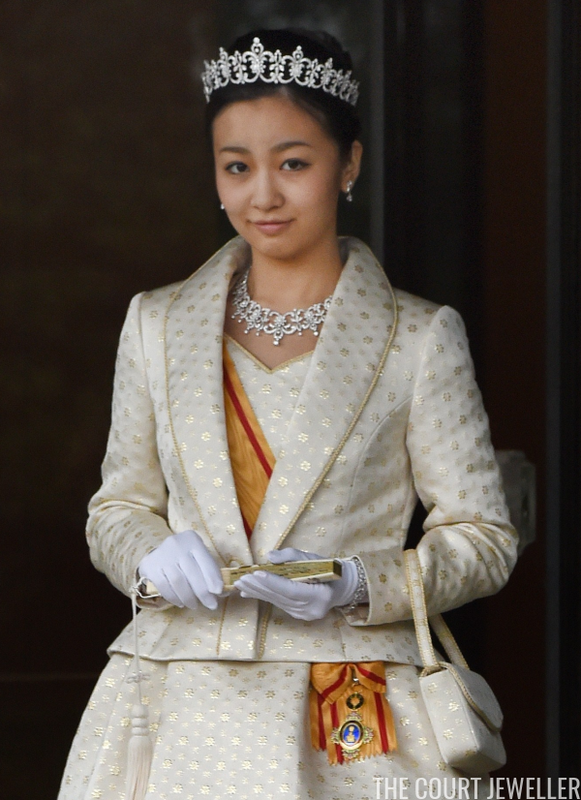 When her elder sister, Princess Mako, marries next year, Kako will be one of the highest-ranking imperial women in Japan.